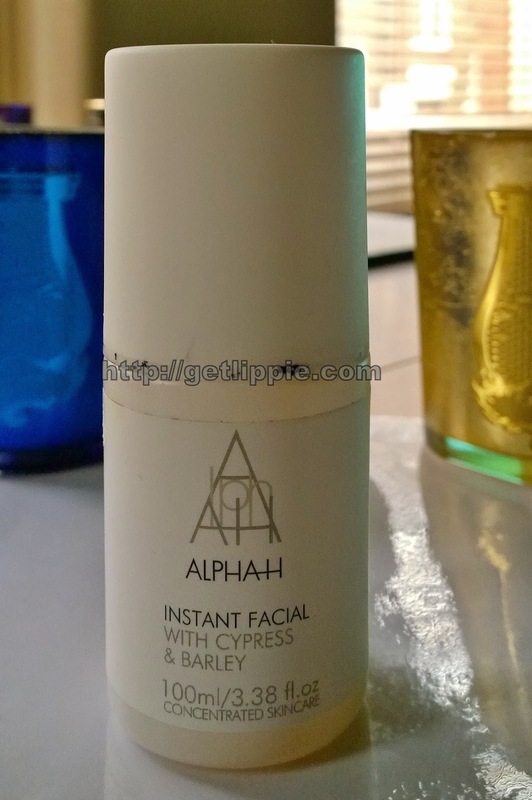 This is a rather elderly bottle of Alpha H Instant Facial. It’s nearly empty, but I love it very much, and I shall be sad when it is gone. 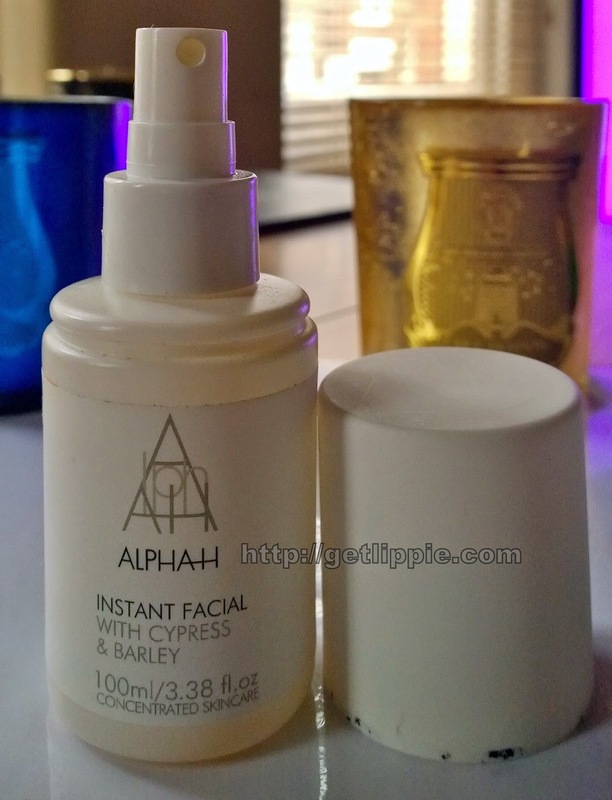 Alpha H are the queens of glycolic acid, and their Liquid Gold product is – rightly – a cult, but I find it is a little too stimulating for my skin, so I don’t use it very often these days. Instant Facial is a lighter acidic spray designed to be used throughout the day for an immediate pick-me-up effect. Personally, I prefer to use this as part of my cleansing routine as the acidic toner part of my routine, I spray a little onto a cotton wool pad and sweep over freshly cleansed skin, and then immediately follow with Serozinc and serum/oil, then moisturiser. It gives me a light exfoliation effect, which is particularly noticeable if I’ve been neglecting my skin for a couple of days, and it does this without irritation, or too much tingling. I find it an excellent addition to my collection of acidic toners, it is a little on the pricey side compared to Clarins exfoliating toner (less than £20), at £37 from Cult Beauty, but compared to my beloved Zelens PHA pads at £65, it’s more of a bargain, I happily rotate Instant Facial with both of those. Because of the spray, you use a fixed amount per use, and this product lasts and lasts and lasts, as you can probably tell from the scruffy state of my six-months+ old bottle. What are your old but beloved products?